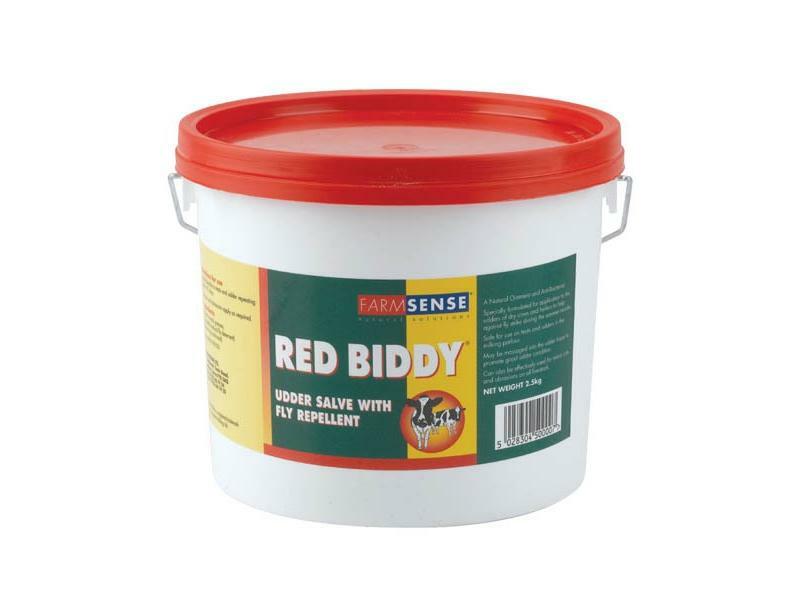 Red Biddy can be safely used to calm sore or irritated teats or udders in the milking parlour. With added citronella, a natural fly repellent, Red Biddy also helps to reduce distress caused by flies or other flying pests. 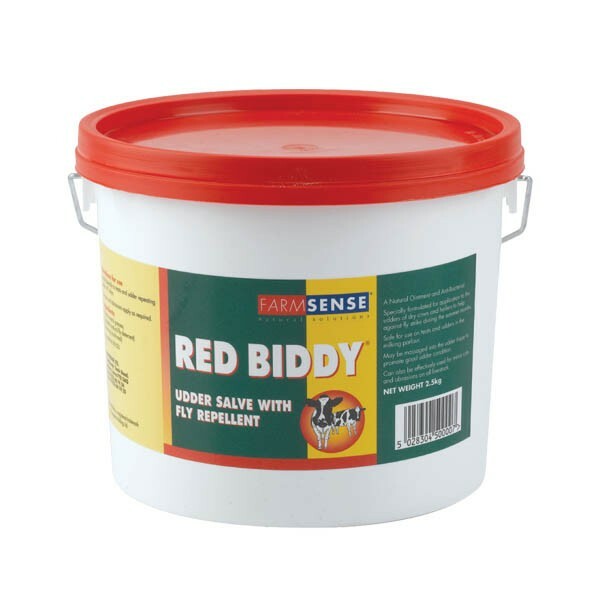 Red Biddy is ideal for protecting dry cows and heifers against fly strike during the summer months when flies are considered a pest. The mineral grease formulation effectively protects and soothes cuts and abrasions from flies. A natural ointment and antibacterial. Specially formulated for application to the udders of dry cows and heifers to help against fly strike during the summer months. Presentation A deep pink grease. Precautions Store in a dry place between 5-15°C. Packaging 500g and 2.5kg tubs. Health & Safety As far as known or anticipated there are no hazards associated with the correct use of RED BIDDY®. For dry cows, apply liberally to teats and udder repeating every 7-10 days. For cuts and abrasions apply as required. Safe for use on teats and udders in the milking parlour. Warnings For external application only. Not for human consumption. There are currently no questions for FarmSense Red Biddy Udder Salve - be the first to ask one!